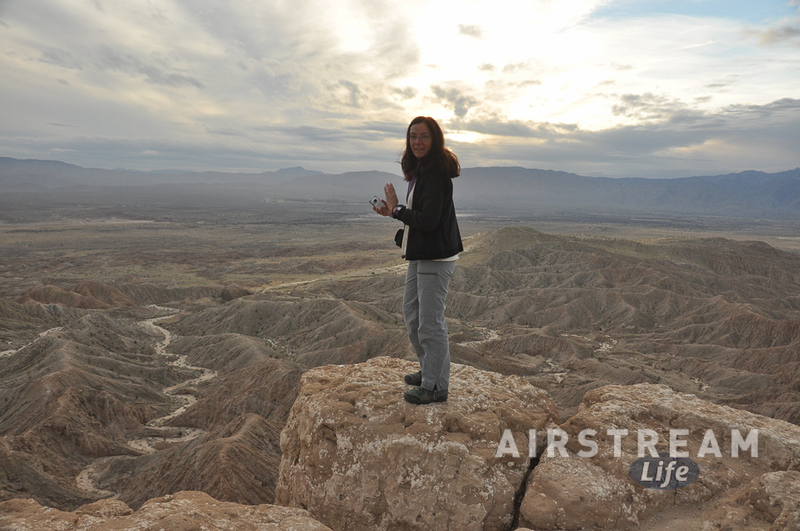 We were planning to head out last week to one of our favorite spots, Anza-Borrego Desert State Park in southern California. But then the New York Times, NPR, LA Times, CNN, and even Wired blabbed to everyone about the “superbloom” of desert flowers, and the crowds showed up. 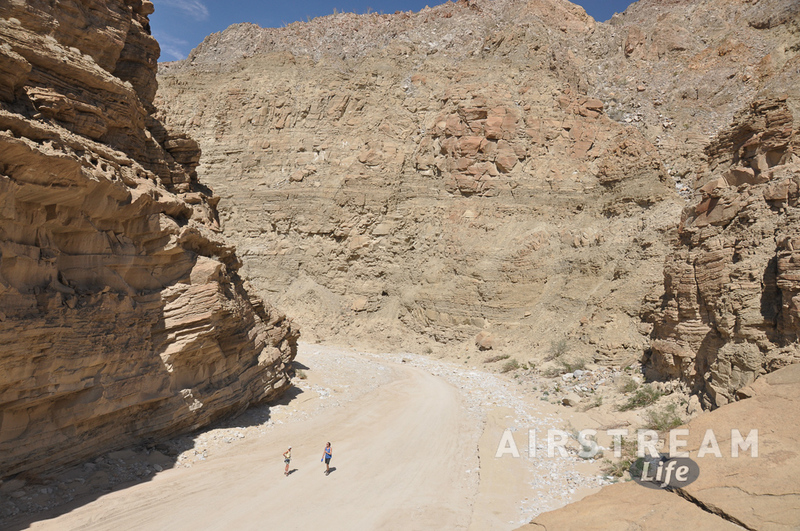 [Big sigh here] One of the reasons I love going to Anza-Borrego is because it is so wonderfully peaceful, slow-paced, and quiet. There are thousands of square miles of desert filled with canyons, mountains, precipices, badlands, palm oasis, and human history, and all you have to do is wander off the beaten path to find a spot all your own. The nearby community of Borrego Springs more than doubled in size as 5,000 people poured into the area on Saturday, an influx that filled motels, prompted the sheriff to close miles of road, and sparked a fistfight over a pork Cubano. Our friends Bert & Janie are out there now. Bert called me a few days before we planned to leave, warning that for the first time he’s ever seen Borrego Springs has traffic jams (a real feat for a town with a population density of 79 people per square mile) and many of the hiking trails were overrun with crowds. I wouldn’t necessarily cancel a trip just on that basis, but I was behind on the Summer 2017 magazine (having lost some time in February due to a virus) and so it seemed like the smart choice would be to try again in early April, when the crowds have departed. To all those people who drove out from Los Angeles and San Diego to look at the flowers: I understand the flowers are nice, but if you only go to Anza-Borrego when the media tells you there’s a “superbloom” you’re missing the real beauty of the place. There’s a subtle beauty that you can only experience without the distraction of thousands of other people nearby. It takes time to experience, time in which your mind slowly unwinds and relaxes. Then you begin to notice the little things: the sound of the breeze, an occasional buzz of a bee, the clearness of the air, the silent passage of a desert jackrabbit or bighorn sheep, and the soft light that colors the rocks at dusk. It seems like the past few years we’ve had to search a little harder for the peaceful experiences we formerly took for granted in national and state parks. The National Park Service was perhaps too successful in promoting the 100th anniversary of the park system last year, and as a result many parks were overcrowded. 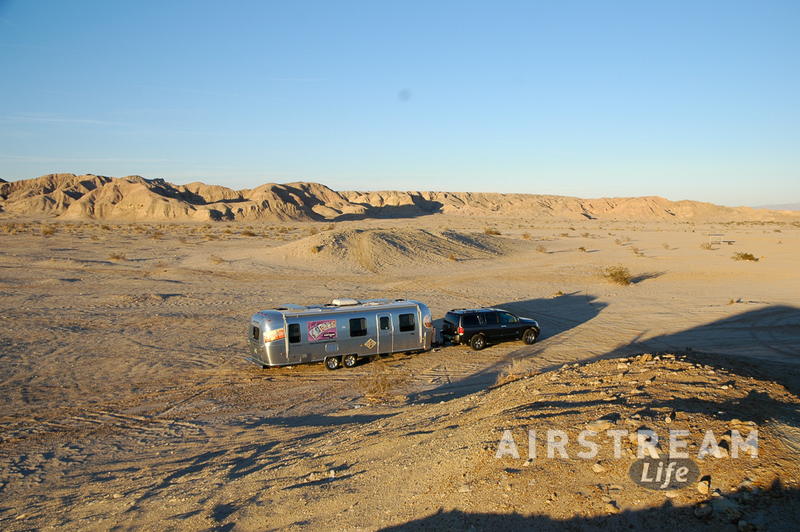 Even before the anniversary year we noticed it was getting harder to find campsites, and on occasion we had to skip popular national parks even during the “shoulder season”. 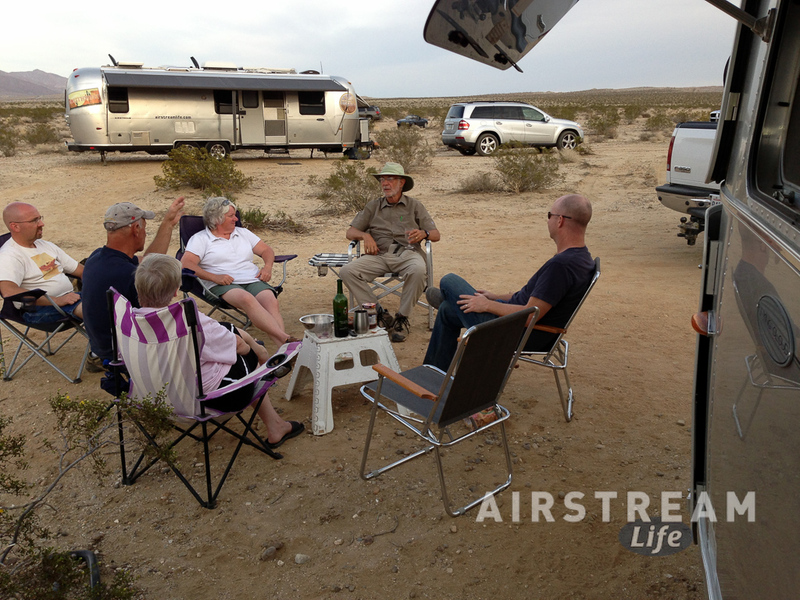 Having the Airstream makes it easier for us than for the weekend travelers who need to book a motel. In a place like Anza-Borrego we can escape the center of the hubbub and retreat to the niches of the park to hear only the whispering breeze and the coyotes howling at night. But that’s the advantage of the vast desert. In most other parks, you can’t just pull off the road and wander around until you find a nice patch to call your own for the night. If you watch the orientation movie in most national park visitor centers it will almost always emphasize quiet enjoyment of the park. You’ll hear how our parks are an opportunity to relax, get away from technology and daily stress, appreciate nature, and re-connect with family & friends. That’s all still true. I guess the only thing that has changed is that you have to go a little further off the beaten path each year. This is part of the reason why I sometimes encourage people to travel outside of their personal comfort zone. Every tourist wants to go to Grand Canyon, Zion, Yellowstone and Yosemite. Go there and you’ll be sure to meet busloads of people. Those are great places but if you’ve got wheels, be different and try the lesser spots: unknown state parks and BLM sites, national forest campgrounds, trails that aren’t conveniently located, places you haven’t read about in travel magazines, the quirk and oddities of this country, and places that have a reputation for horrible weather. I guarantee that if you go with an open mind you’ll find things you never expected but are glad you experienced. 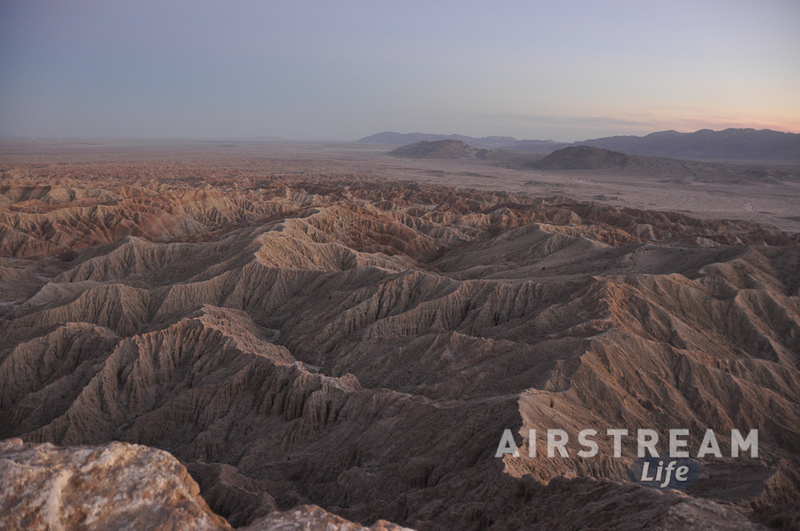 For us, the trick will be to visit Anza-Borrego when the New York Times isn’t talking about it. We used to visit the state park campground every year during the last week of December or first week of January, but I suspect that tradition is over permanently. Still, the door hasn’t closed—it has just moved. I look on this as an opportunity to discover new spots that we love, at other times of year, in order to keep finding peace and relaxation out in the wide southern California desert.